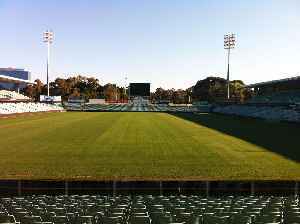 Parramatta Stadium was a sports stadium in Parramatta, New South Wales, Australia, 23 kilometres west of Sydney's central business district. The stadium was the home ground of several western Sydney-based sports teams, at the time of closure the most notable were the Parramatta Eels of the National Rugby League and the Western Sydney Wanderers of the A-League. NSW Premier Gladys Berejiklian has cut the ribbon on the new 30,000 seat Parramatta Stadium that will host four football teams..